DMR Design & Build specialises in new build and renovation projects for developers, hotel groups and private clients. Our team of interior architects and specifiers deliver the most creative and original solutions for both large and small interior architecture projects. DMR Design & Build’s award-winning architects possess extensive experience and are fully qualified. Alongside this, they each have the creativity and attention to detail required to provide all of our clients with unique architectural designs that exceed their expectations. Working with individual clients or on when creating the luxury interior design for residents, our architectural experts manipulate space and use space planning techniques of mood boards, modeling, and planning when reconfiguring the aesthetics of a property. Whether we plan one or multiple spaces for our clients, our spatial planning expertise and exacting standards will always maximize the potential for every project. Your dedicated designer will start bringing together the scheme, including furniture, fabrics, wallpapers, paint colors and accessories. Delivering Bespoke and innovative designs down to the smallest detail! 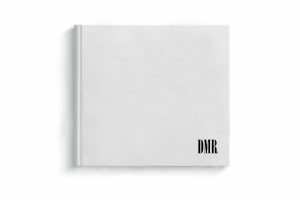 DMR Design & Build has the ability to provide professional services in the areas of Interior Design, Project Management, evaluating client requirements and procurement of furniture and artworks. DMR Design&Build works with well-established architectural companies to provide skills exchange and innovative professional services to satisfy clients’ requirements.